Everyone deserves to have a beautiful smile and strong, healthy teeth. At Merit Dental in Kalamazoo, we offer porcelain crowns, composite fillings, porcelain veneers, tooth whitening, and a number of other effective cosmetic dentistry treatments that are sure to give our patients the look they want. Dr. Magnuson or Dr. Caringella can provide a small change or more involved treatment to help all of our patients look and feel their very best. We use only the latest technology and are highly skilled in all areas of cosmetic dentistry. Please contact our experienced Kalamazoo and Portage-area cosmetic dentist today to learn more and to find out which procedures are best for you. Cosmetic dentistry patients at Merit Dental in Kalamazoo, near Battle Creek, can expect to be treated with the latest and most innovative technology. Developments in cosmetic imaging allow Merit Dental’s patients a “sneak preview” of what they may look like after having one of our cosmetic dentistry procedures. Using digital photography and Adobe® Photoshop®, we can show you what you may look like after porcelain veneers, tooth whitening, dental implants, or a full smile makeover. Seeing a picture of how your results will likely look can help you select the cosmetic dentistry procedures that are right for you. This exciting new tool ensures that you form appropriate expectations and makes having cosmetic dentistry even more fun for our patients. One of the most popular treatment options our cosmetic dentist offers, porcelain veneers are an effective solution to imperfections like stains, chips, and misalignments. Porcelain veneers can create a dramatic improvement in the overall appearance of your smile in as few as two office visits, and the results are incredibly natural and healthy-looking. Porcelain veneers are virtually undetectable and highly resistant to coffee, tea, and cigarette stains. They are strong and restore a natural, healthy appearance to smiles in need. Every smile looks more beautiful when teeth are sparkling white. Our practice offers a wide range of tooth whitening options that can brighten your smile and reduce the appearance of stains from coffee, soft drinks, wine, and tobacco. Tooth whitening is one of the simplest ways to create a remarkable improvement in your appearance. A gleaming, breathtaking smile can be yours in a single, convenient office visit or with easy to use take-home tooth whitening kits. 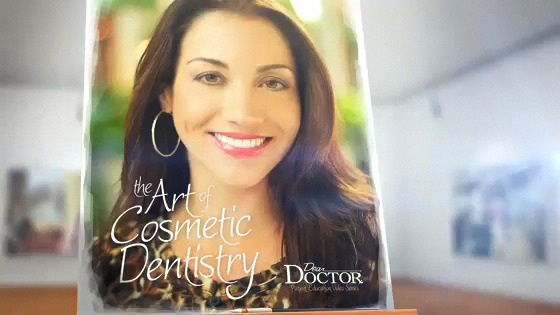 At Merit Dental, Adobe® Photoshop® has become an integral part of our cosmetic dentistry practice. It is an invaluable tool for visual communication, with both patients and labs. Photoshop® allows Merit Dental to communicate visually about various cosmetic dentistry treatment options available to his patients from the Kalamazoo and Battle Creek area, resulting in more satisfied patients and more precise treatments. Using a digital camera, Dr. Magnuson or Dr. Caringella will take dozens of images of each patient. By capturing several different angles, we will have a wealth of documentation. These images can be used to choose or plan cosmetic dentistry procedures. Using Adobe® Photoshop® software, Merit Dental can manipulate the images – whitening, lengthening, shortening, or widening teeth, for example. These images can be presented to the patient, giving them an idea of the changes they can expect in their appearance. Using Photoshop®, Dr. Magnuson, Dr. Caringella and their cosmetic dentistry patients can work together to determine which treatments will most improve the patient’s smile.